To illustrate SAM features we use the research that took place in one of the Russian cities. In frames of this research all students of 5th grade of all schools were tested. Figure 1. 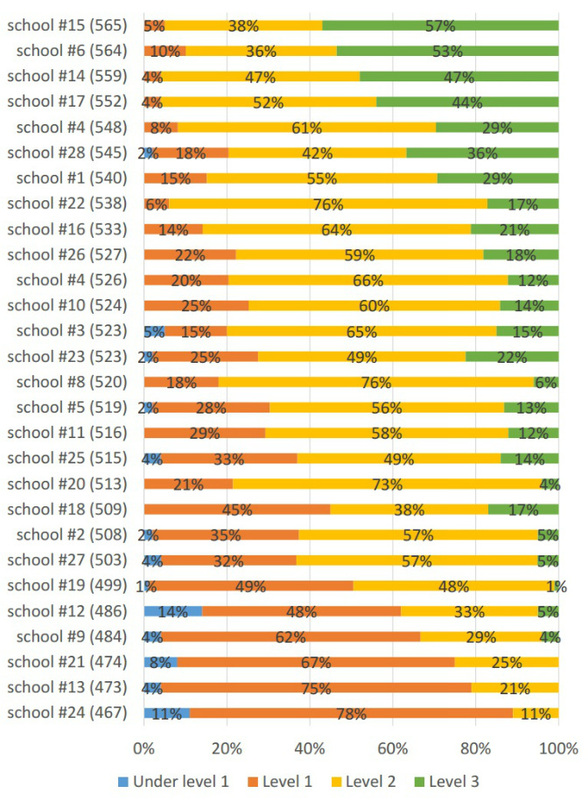 School rating by average score. All students participated in testing. 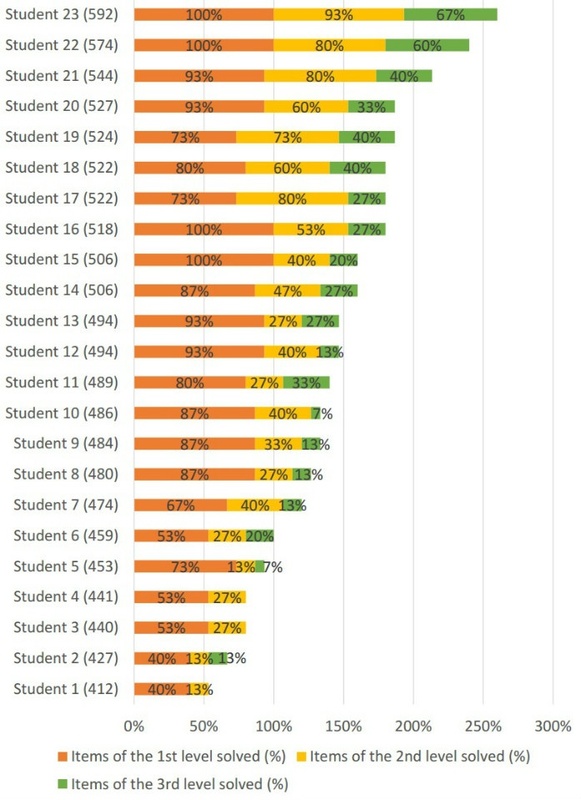 SAM allows to see the structure of school’s average score with % expression of students at different levels. 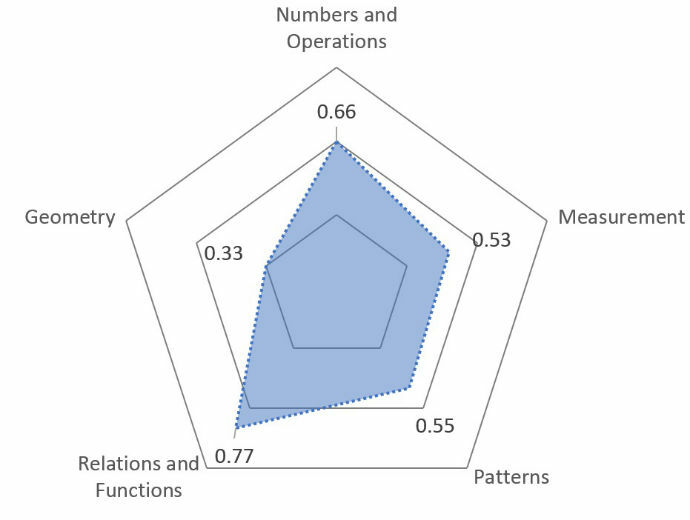 Graphs represents how the structure of the average score of particular school is formed. 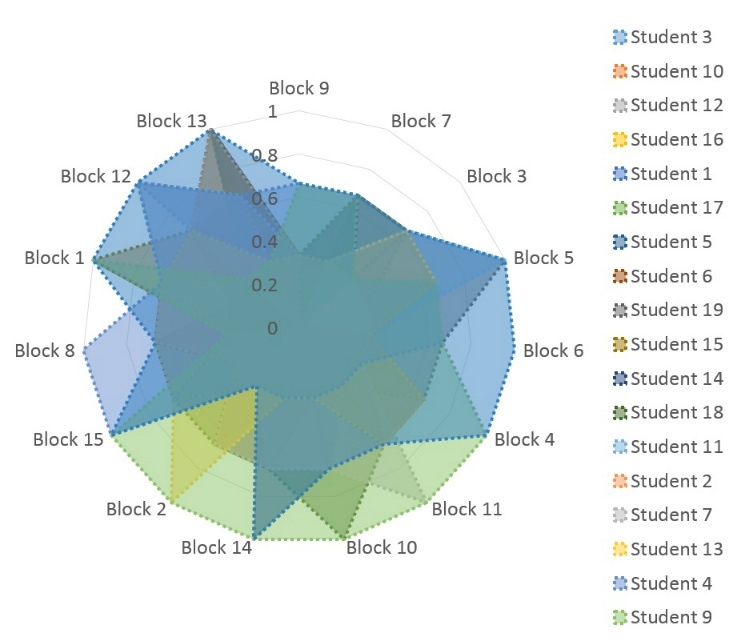 Graphs show profiles of students of the same class. 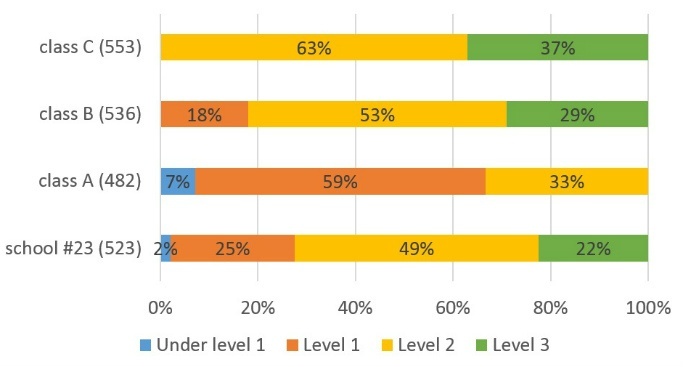 Graphs show average scores in relation to the approach that was used for teaching. Rating contains all schools. Figure 7. 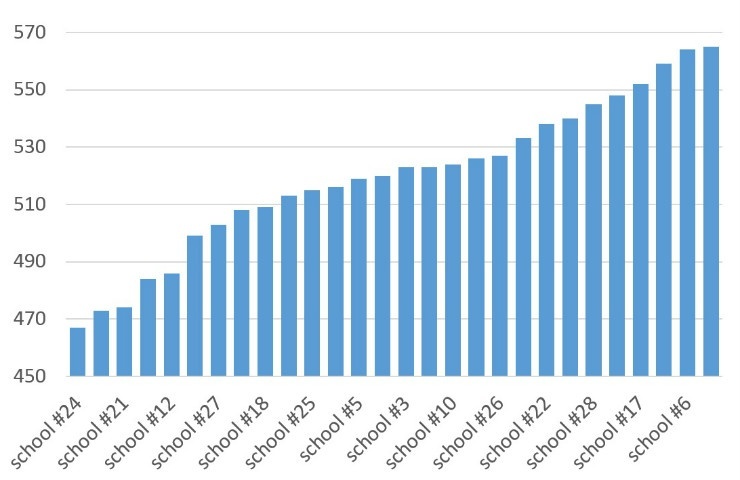 Structure of average score of a school. Different teaching approaches are used in different classes. 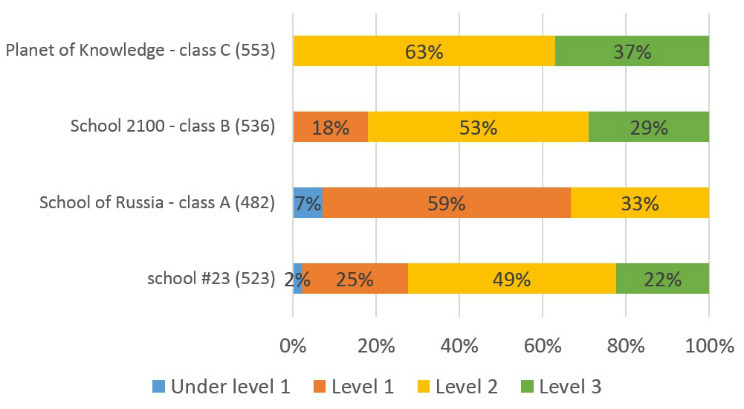 Graphs show the structure of school’s average score. Graphs feature that different teaching approaches are used in classes. 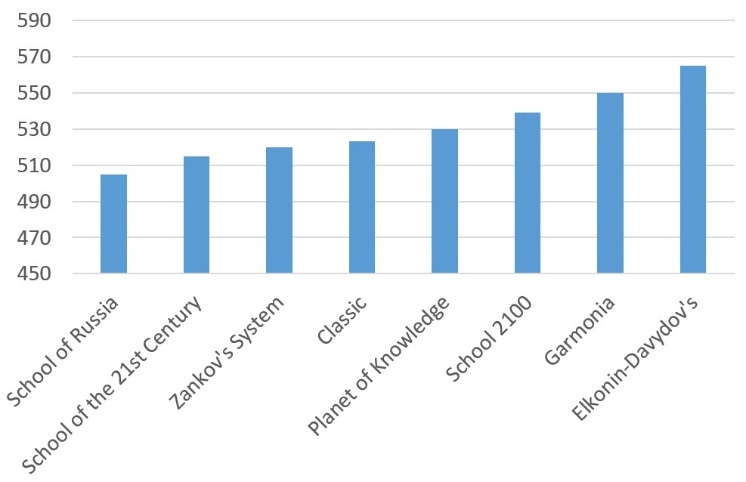 Graphs show the quality of knowledge acquisition in every class and as the result – the contribution of each class to the average score. Figure 8. Items solving by thematic topics by an individual student. 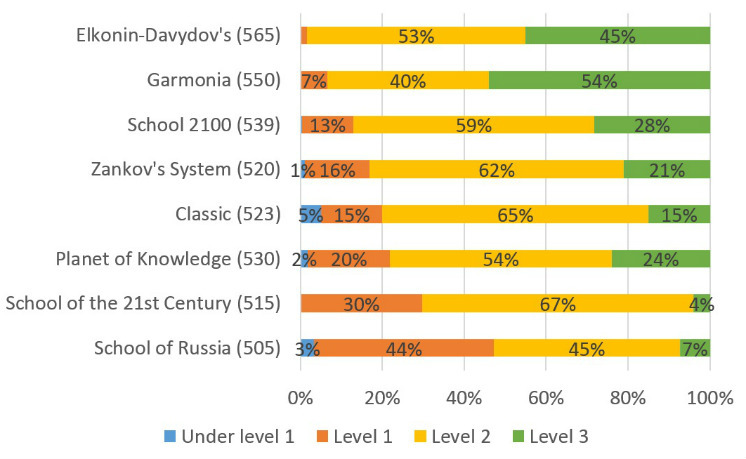 Graphs show how well an individual student have acquired thematic topics of Math curriculum at the end of the primary school. Graphs show how a student solved items blocks. Each of the block contains 3 items of each level. 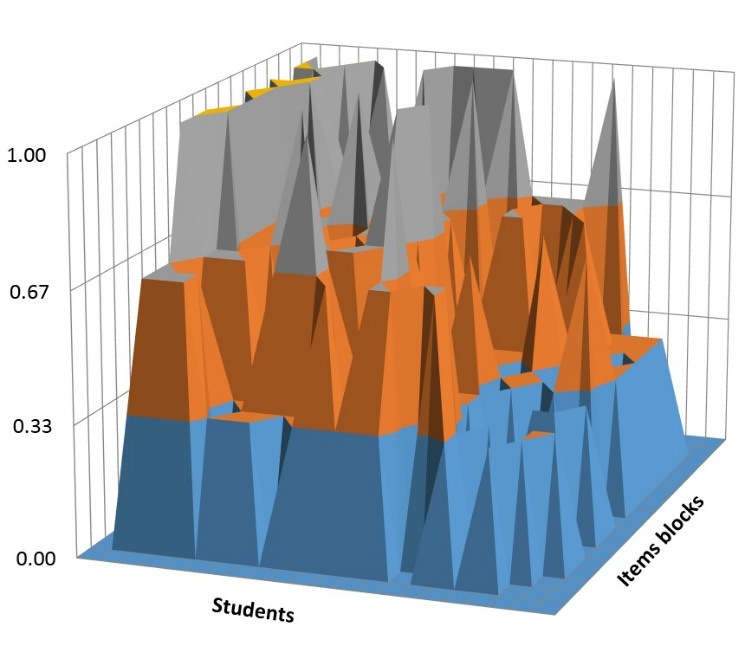 Graphs show how students solve item blocks. Most often achieved level is marked darker. Level that wasn’t achieved by anyone is marked blank. Figure 11. Solving of test items blocks by students of a selected class. Graphs show how students of same class solve test items. Data forms a cube when class achieves the maximum result. As the level of individual achievements is not maximal, the graph forms into un-even extensional figure. 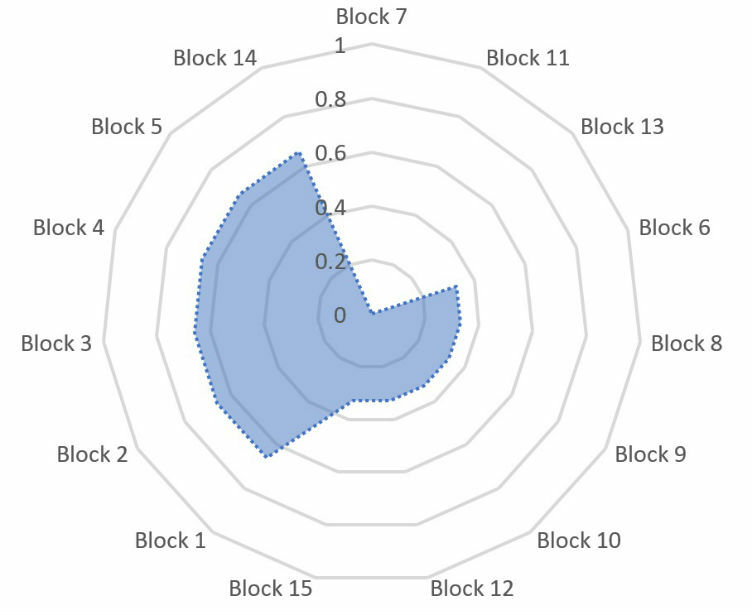 This figure points to problem spots in the class for individual students and for least solved items blocks. 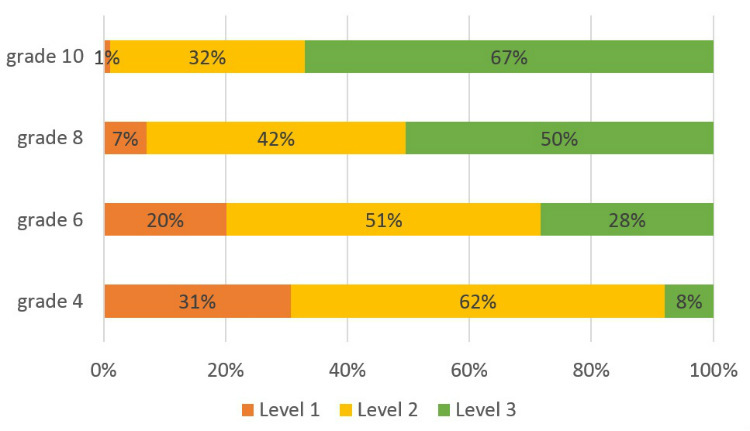 Graphs show how students achieve levels of knowledge acquisition in the process of learning.